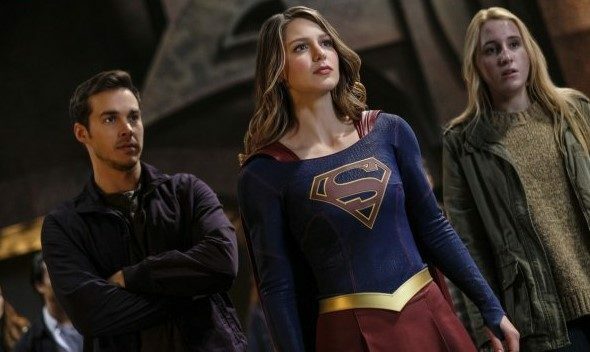 Supergirl has some new company. Entertainment Weekly reports Sam Witwer has joined season four of the CW TV show. The DC Comics drama stars Melissa Benoist, Mehcad Brooks, Chyler Leigh, Jeremy Jordan, David Harewood, Calista Flockhart, Chris Wood, Floriana Lima, and Katie McGrath. On Supergirl, Witwer will be playing Agent Liberty, “the ruthless and terrifying founder and figurehead of Children of Liberty, a hate group that supports a human-first world order.” Witwer is the third Smallville alum to join the CW series after Erica Durance and Laura Vandervoort. Season four of Supergirl premieres on The CW on October 14th at 8 p.m. ET/PT. What do you think? Do you watch Supergirl? Are you excited for season four?